Facebook is a marvellous tool for keeping in touch with old friends, family and anyone else you care to talk to. But that digital freedom can come at a cost: your privacy. Fortunately there are ways to ensure only the people you want to see your Facebook profile can – unless of course somebody knows your password. 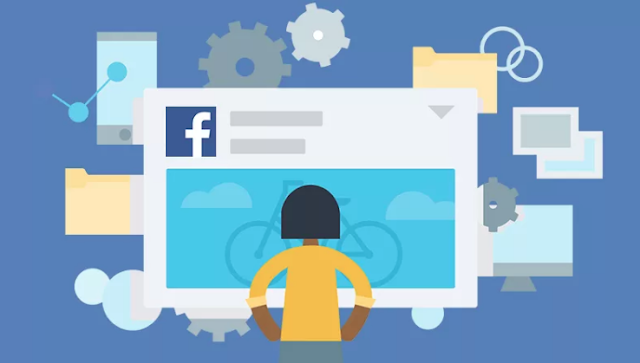 The process of making your Facebook private is actually relatively painless once you familiarise yourself with the increasingly bloated user-interface. So where do you begin? Read on. There are two easy ways to get to the relevant privacy settings of your Facebook profile. In the top right, you will see a button to the right of your name – it has a padlock on it and three horizontal lines. Press it and then select 'See More Settings' at the bottom. Alternatively you can click the little cog settings button located in the very top right next to the aforementioned Privacy Shorts button and then select "Settings" from the drop-down menu. The end result is exactly the same in either case. Now you can start to tailor your privacy. 2 | Who can see my stuff? Under the Privacy Settings and Tools heading you will see three bolded questions: "Who can see my stuff? ", "Who can contact me?" and "Who can look me up?". We'll start with the first heading in the list. On "Who can see your future posts?" click the edit button on the far right. Now select who you want to see your future Facebook posts from the drop-down. Public will be the opposite of private (naturally), so set it to "friends" if you only want Facebook friends to see them. Alternatively you can select "only me" if you want only yourself to see what you post, or click "Custom". Custom allows you to select specific options including "Don't share with", meaning you can pick a specific Facebook friend or friends you no longer wish to share posts with. You can also block lists you are a part of, such as a school network. If there is a post you want to limit the visibility of, the "Review all your posts and things you're tagged in" setting located below allows you to do just that. Hit the "activity log" button and you can then use the pen edit button to delete specific entries you no longer wish to share. 3 | Who can contact me? In case you want to stop getting inbox messages from people you aren't Facebook friends with, you can use the message-filtering option under "Who can contact me?". Switch it from basic filtering to strict filtering to only see messages from friends in your inbox. Doing so should keep random messages from strangers at bay. 4 | Who can look me up? Sometimes you may want to limit who can look up your Facebook profile. The "Who can look me up?" options group allows you to tailor your privacy in this regard. With friends enabled, only friends can look you up using your email address. The same options can be specified for your phone number (if you entered one into Facebook). Again, select the friends option for the strictest level of privacy. Finally, you can choose whether search engines such as Bing and Google can link to your Timeline. A simple tick box option is all it takes to really shut your Facebook profile off from the world wide web. As Facebook states, this option can take a while to come into effect so don't panic if it seems like you are still coming up on search engines. To really ensure your privacy, there is always the option to leave Facebook entirely. Of course, this is a drastic course of action but something like online bullying could force your hand (in which case, you should seek support). Or maybe you are just tired of sharing everything so publicly. Whatever your reasoning, click the settings cog in the top right and then select Security on the left (just below General). At the bottom you will see some blue text that says "deactivate your account". Press this and you will be prompted to supply a reason for leaving as well as a warning that your friends will no longer be able to contact you. Click confirm and you are Facebook-free. Now give that friend a call and go for a drink to celebrate your new-found digital freedom. Or simply enjoy your new level of Facebook privacy. You can see what your profile looks like to other people by using the View As tool. Go to your profile and click to the bottom right corner of your cover photo. Click View As... in the dropdown menu. You’ll see what your profile looks to the public. To see how your profile appears to a specific person, like a friend or coworker, click View as Specific Person, type their name and press enter. To exit View As, click X on the banner.